Christopher Robin is in Theaters Next Week! These Printable Activity Sheets Will Help Get You Ready. When I was a kid, I loved Winnie the Pooh. Well, actually, I loved Eeyore. For some reason, his forlorn demeanor made me want to envelop him in my arms and hug the sunshine back into him. My son, on the other hand, likes Tigger. No surprise for an 8-year-old boy, right? Next week, we're looking forward to the opening of Disney's new movie, Christopher Robin, which brings all of the characters to life! It will be in theaters August 3. In the new live action adventure, the young boy who shared countless adventures with his stuffed animal friends in the Hundred Acre Wood has grown up and lost sight of what’s important in life. Now it is up to his childhood friends to venture into our world and help Christopher Robin rediscover the joys of family life, the value of friendship and to appreciate the simple pleasure in life once again. We can't wait to see it! 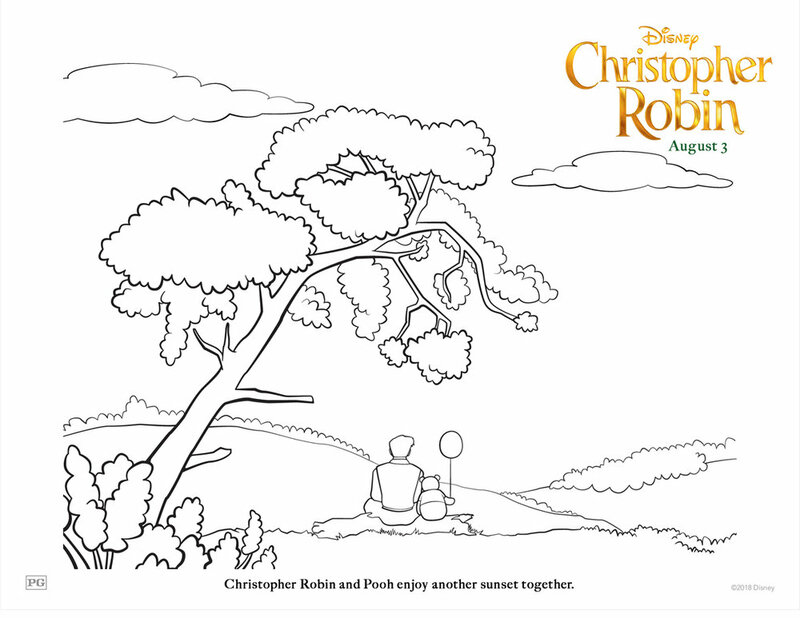 In the meantime, Disney provided some fun coloring pages and activity sheets to share. Print and enjoy.